BIG has revealed a concept design for a floating city that aims to withstand natural disasters like floods, tsunamis, and hurricanes. The city can hold around 10,000 people and explores the next frontier for human settlements. BIG’s proposal foresees the possibility of living sustainably and in harmony with underwater life. The project was commissioned by Oceanix, a company that develops innovative ways to build on water. To develop the concept, BIG co-worked with MIT's Center for Ocean Engineering and Oceanix. 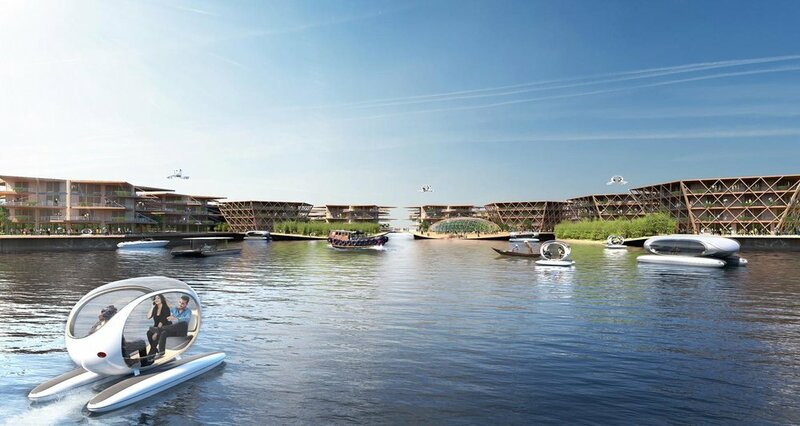 Bjarke Ingels, the founder of BIG, unveiled the project at a round-table discussion on floating cities at the United Nations's New York headquarters. 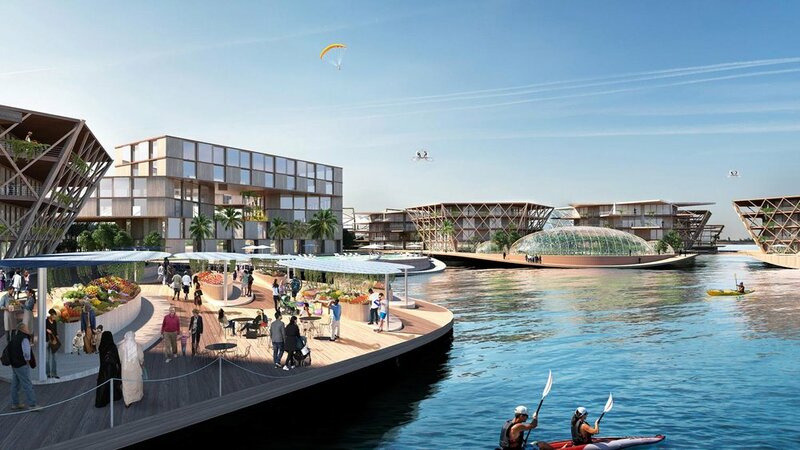 Oceanix City is intended to provide a habitable, off-shore environment in the event of rising sea levels, which are expected to affect 90% of the world's coastal cities by 2050. Arrangements would be flexible so that the cities could be moved if water levels became too low. BIG conceptualized the architecture so that it could be easily disassembled and reconfigured by future generations of architects. The concept could utilize other new technologies including driverless vehicles, drone deliveries, and ocean farming, which involves growing food beneath the surface of the water. Cages underneath the platforms could harvest scallops, kelp, or other forms of seafood, meanwhile aquaponic systems would use waste from fish to help fertilize plants.